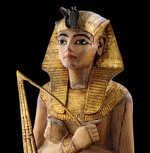 "Tutankhamun: The Golden King and the Great Pharaohs"
What you can expect to see once you enter the exhibit are ancient artifacts spanning 2,000 years of Egyptian history. 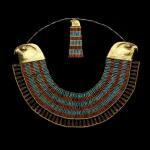 There are more than 130 unearthed treasures just from the tomb of Tut alone. Among them, an impressive sarcophagus that once held his stomach, lined with gold and intricately carved hieroglyphic inscriptions that rival some of the best penmanship I have ever seen. No minuscule detail is spared. A tomb for a cat, Tut&apos;s bed and an intricately carved chair also sit among the relics. The optional ear piece is highly recommended as Indiana Jones (Harrison Ford) and the original archeologist who discovered the tomb narrate you through each treasure. Most of the artifacts date back 3,000 - 4,000 years and each is more exquisite than the next. Here are some of the treasures that await you. They are much more spectacular in person. 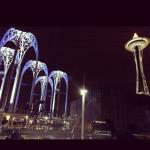 So hurry down to the Pacific Science Center before you lose your only chance to see these amazing artifacts! 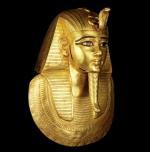 The golden mask lay over the head, chest and part of the shoulders of the mummy of Psusennes, as a layer of protection. The royal headdress with ureaus cobra and the divine false beard he wears attested to his royal and godly status. The use of gold, considered the flesh of the gods, reaffirmed his divinity in the afterlife. 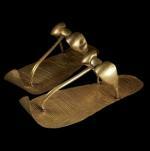 These golden sandals have engraved decoration that replicates woven reeds. Created specifically for the afterlife, they still covered the feet of Tutankhamun when Howard Carter unwrapped the mummy. The only such figure found in the antechamber, it is one of the largest of the servant statuettes. The inscription records the shabti spell from the book of the dead, ensuring that the king would do no forced labor in the afterlife. found on the body of Neferuptah, daughter of Amenemhat III, this collar might have been worn in life and was included in the tomb for her use in the afterlife.